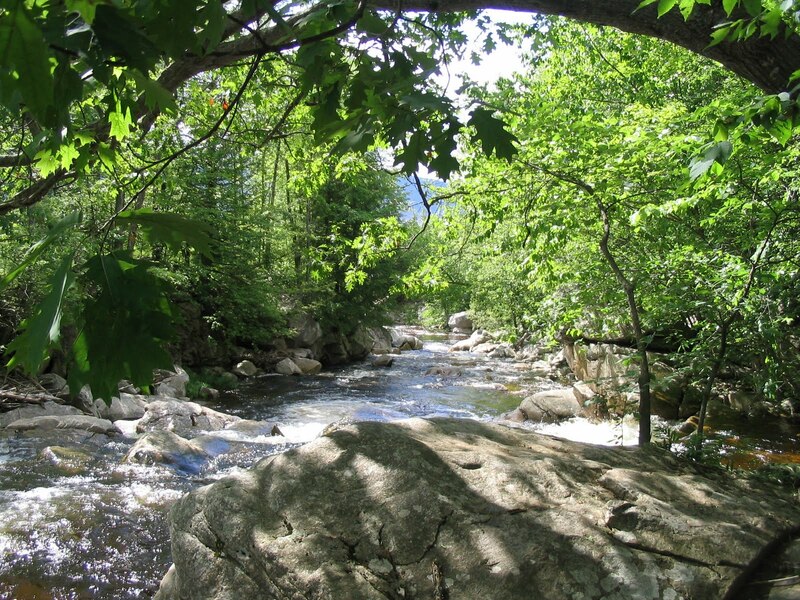 What makes a fly fishing trip a success? For some, catching fish is the only measure of a good fly fishing trip. Maybe that is why fly fishing stores sell scales and rulers to calculate the length and weight of the trout we land. If the number of trout you catch is the only measure of your success, then what happens if you get skunked, not hooking a single fish? When I first taught myself to fly fish in the trout parks of Missouri, I would go hours, and days without catching a trout. It was frustrating. Yet even on the hardest day, when there were no fish to be seen, I still relished the time spent in the stream. Defining success in fly fishing by the number of fish you catch is kind of like defining success in life by how much money you have or by the size of your home. There is nothing wrong with material success. It is good to work hard and enjoy the fruits of your labor. But if our lives are only the sum total of our bank accounts, we have not accomplished all that we can in this world. Judaism teaches that the measure of a successful life includes the ways we repair our broken world, the love we share with family and friends, and our striving to become better people. Even in the realm of the material, success does not only come from what we acquire, but also what we give away to others. Giving tzedakah, charity, is an obligation for every Jew, no matter how rich or poor. The most destitute must give something, even a penny, because the act of charity makes one a better person. It seems to me that life is not about the size of the fish we catch or the sum of our material possessions. Success comes from all that we have seen and done that is beautiful and elevating and makes this world just a little bit better. When I am waist-deep in cold water, casting my line, I certainly want to catch fish. 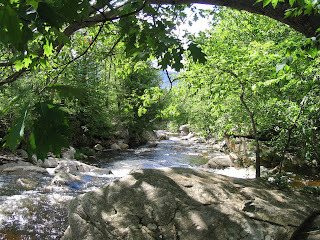 But I also try to remember to take a moment to breathe, to look around, and to appreciate those precious moments of connection and solitude on the stream. Another great article. 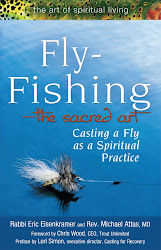 Illustrates that fly fishing is not really about catching fish, but finding peace and solitude on the water. Fly fishing is deep, much deeper than just finding tranquility in nature. Since leaving the Garden of Eden, man has been a hunter. Fly fishing is a quiet form of hunting requiring focus, persistence, skill and above all else respect for the fish being hunted. Tranquility comes from being on the hunt and knowing you are a natural part of the Creator’s wonder in which you are literally immersed (hopefully not too far above the belt). Catching fish is the natural result of the hunt and its importance should not be minimized, but, to paraphrase Shakespeare, the hunt is the thing. I'm often disappointed by the concept of "success" in fly fishing. I don't see it as a competition. I see it as an endeavor, and activity. Would you say someone had a "successful" walk around the block? The success, if you need to term it that way, comes in being able to do it. Just getting the chance to go fishing is a success. "If you want to get fish--go to a fish market. If you don't enjoy the process--- Go Home" Not that I don't rejoice in a frothy day of catch & release.....But some days "getting skunked" is even more rewarding. Go figure.. When they ask "Did you catch anything?" I often respond with my definition between Going Fishing and Going Catching. I also explain that for me, after a successful day of fly fishing, the catch of the day may not always be a fish. I find that much like the Celts, when I am out fishing in nature with God I am at a Thinner Place. A place that is above the everyday and closer to God. I am a Franciscan and often refer to it as Franciscan fishing, because in being in the stream enjoying God's gift and being "skunked" I have done no harm to the fish (I am a catch and release guy regardless). Hmm... this is something I wonder from time to time. * You need to cast a line to get the fly to or near the trout. * You need a fly. * You need a nice stream or river (let's keep it simple and forget tropic waters with bonefish, lake fishing etc. for this though). * You need some time to spend. Not much really is needed. But it's often more than just adding these points, because one guy will catch none, some will catch a few and the other guy will catch lots of fish. For me success in fly fishing is indeed about catching fish. What's the use to get out early, driving all the way t the stream (for me that's usually 8+ hours drive) and spending time and money to be at the stream? * Smell of fresh air. * The singing of the birds. So what's it all about? Keeping your mind off from your daily chores, thoughts and work. That's what makes me appreciate my outing. I can completely relax from our busy lives. That's my success!